Let’s Celebrate the Oscars with a GIVEAWAY! Do you live in or near the following Michigan cities? Or maybe you could use a gift for a friend who does? Momma’s got another giveaway just for you! Celebration Cinema is so awesome, they have given me more passes to celebrate The Oscars! I’m giving away two (2) $30 Celebration Cinema Gift Cards! 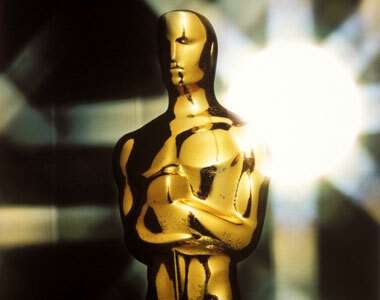 The Academy Awards are on Sunday, so I’m making this an extra-special giveaway by giving you extra chances to win! Not only does each entry increase your chances of winning, but this also means ONE person could win a $60 gift card if I draw their name twice! (4) Follow me via Google’s Friend Connect and in another separate comment, let me know you’ve joined the google-party and we’re connected. (5) Subscribe to MNAB via email. Get my posts delivered right to your inbox. Almost as sweet as beer delivery, yes? Ok, so, not even in the same ballpark, but come on, I’m giving you 5 chances to win here! Again, please be sure to add yet another separate comment to let me know your an email subscriber. Each comment is an entry. Bundling the above info into one comment will only get you one entry. Max entries per person = Five (5). You are not obligated to enter 5 times, but if you want to enter, you need to choose at least one of the five comment options I have listed above to qualify. Giveaway ends Sunday, February 27th @ 11pm EST. Winner(s) will be drawn via random.org and notified through email. I will announce the winner in an Oscar-recap post on Monday, February 28th. This entry was posted in Uncategorized and tagged Celebration Cinema, Giveaway. Bookmark the permalink. Post a comment or leave a trackback: Trackback URL. My favorite reason to go to the movies is because every Friday afternoon my sister has that day (I have them all off….LOL) so we get to spend a few hours together. Yeah if your buying that crap its really called a load of bullsh** as my favorite reason to go to the movies on Fridays with my sister is because Celebration sells Pizza Hut now. Life is good! I love going to the movies because, for a few hours, I have time with the love of my life without the kids interrupting and telling me it’s his brothers turn to take out the dog, not his! I like going to the movies because for those couple hours I get to lose myself in different world. Its a nice break from reality every once in awhile!! I’m following you via Google’s Friend Connect. I signed up for the emails too. I can go to the moveis and forget my problems and pressures and just sit back and relax. It’s my escape from reality.